+ Martin Scorsese, Academy Award-winning director, at Fuller’s screening of his new film Silence, a story of Jesuit missionaries in 17th-century Japan based on the novel by Shusaku Endo. He is pictured with Brehm Center Director Mako Fujimura (left) and Assistant Professor of Theology and Culture Kutter Callaway (right). Sponsored by the Brehm Center’s Reel Spirituality initiative, the film created space to reflect on faith, suffering, and more. 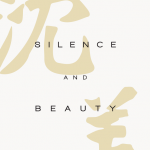 + We’re happy to share with you a selection from Mako’s book Silence and Beauty: Hidden Faith Born of Suffering, a companion piece to Endo’s novel and an extended meditation on faith, suffering, and Japanese culture. Click here for a free download of the first chapter. + Kutter Callaway, assistant professor of theology and culture, from Watching TV Religiously: Television and Theology in Dialogue. Listen to Kutter and screenwriter Dean Batali discuss television and theology in their podcast Televisual Theology. 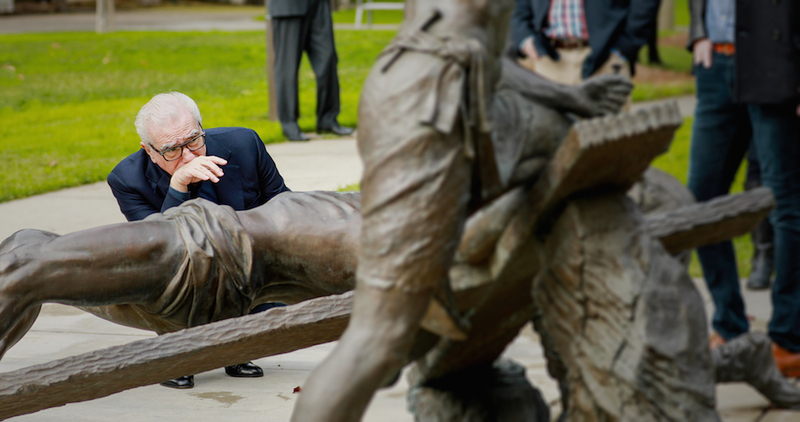 After the screening, Martin Scorsese (pictured above) walked through Fuller’s Pasadena campus and examined a statue of the crucifixion by Brehm Center Artist-in-Residence Chris Slatoff. + Mako Fujimura, director of the Brehm Center, from his video reflections on Silence, Japanese culture, and more available here. + Elijah Davidson, co-director of Brehm Center’s Reel Spirituality initiative, in his review of Scorsese’s film adaption of Silence. Read the full review and listen to members of the Brehm community discuss their reactions to the film.